Cold water and sunshine greeted 25 swimmers at our first club meet of 2018. There was a demand for a slightly earlier start to the season this year, so as an experiment, the club's committee decided to bring the start of the season forward to 3rd April. 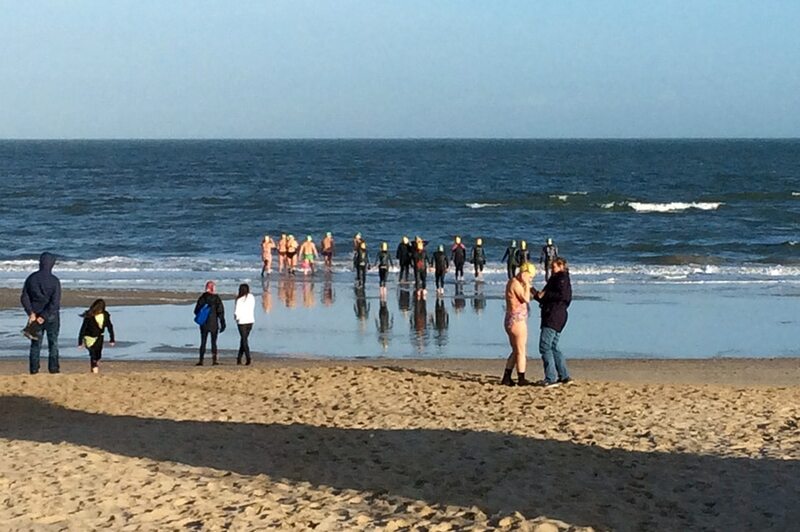 It's been a relatively cold winter for sea swimming and yesterday's sea temperature was only around 7ºC. 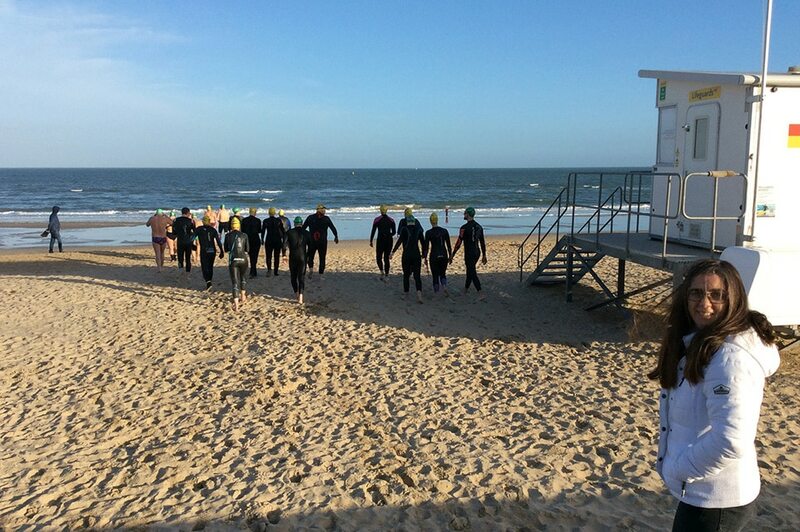 Swimmers were met with a stiff onshore breeze and choppy conditions when they set out at low tide from Shore Rd. 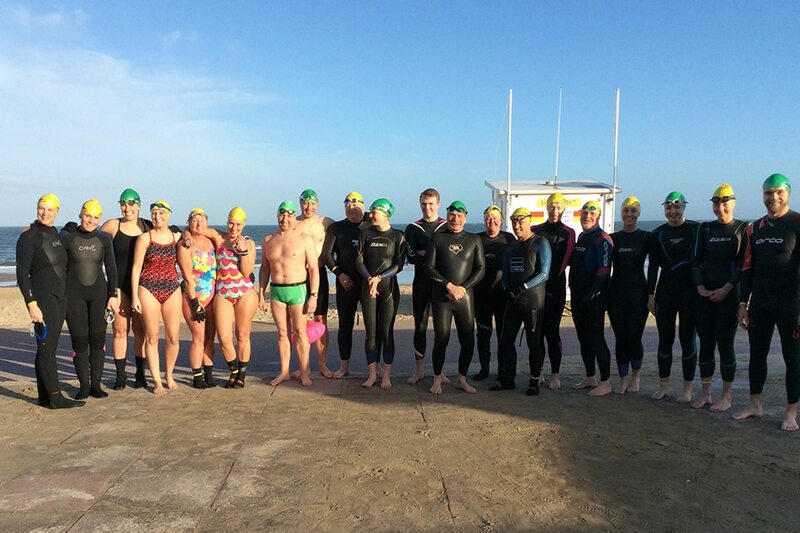 However the sun did put in an appearance so despite the chill the feel-good factor was high and most people swam around 1000m.